Will open source solutions excel in Whitehall? The government is reportedly considering reducing its spending on software by swapping Microsoft Office for an open source alternative. According to the Guardian, the Cabinet Office is set to advise Whitehall, which has spent £200 million on Microsoft Office alone since 2010, to ditch its dependence and look towards using open document formats and the programs that create them, such as OpenOffice and Google Docs. The proposal, lead by Cabinet Minister Francis Maude, will look to break the "oligopoly" that software suppliers currently enjoy over the government's IT by standardising document formats. Maude argues that switching to open source software will make cooperation between government departments, and between Whitehall and the public, simpler to achieve. 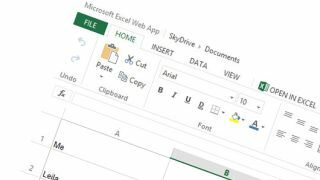 A basic version of Office 2013 adds roughly £159 to the cost of a PC or laptop, while the full professional version of the suite will set a company back £300 per computer. Cloud computing solutions could offer fully compatible and similar services (at a basic level) for nothing. Whether the stripped-down options of Google Docs or Sheets would be enough for government ministers and workers is yet to be seen. Maude has also applauded the changes made by the government to increase the number of small and medium enterprises (SMEs) that are able to win contracts from the government. He will highlight the creation of CloudStore – a site in which councils and public bodies can buy software – where up to £10 million per month is being spent, with around half going to SMEs. The Government is also scrambling to migrate its computer systems as the end-of-life of Windows XP approaches, with thousands still vulnerable to attack.